We work together with several innovative top specialists in production and development of chelated Micronutrients. 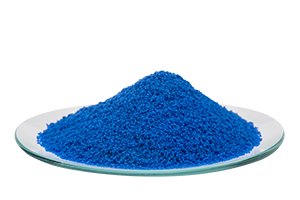 They develop completely new types of chelating agents and innovative production processes. Only three complexing agents were added to the list of the European Fertilizer law over the past 20 years. Our main partner on Micronutrients developed two of them: IDHA and HBED. Our collaboration with our Micronutrients partners leads to new production methods and innovative product solutions of higher quality. They have extensive lab services enabling us to offer top quality Micronutrients: EDTA, IDHA, DTPA, EDDHA and HBED. 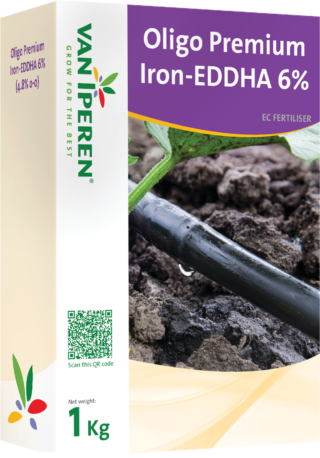 Van Iperen Oligo Premium Iron-EDDHA 6% (4.8% o-o) is a highly pure Iron fertilizer, with a very high percentage of ortho-ortho, which dissolves rapidly and completely. Our product is dust free and is recommended at different phenological stages. The high level of Iron in our formula improves the production of chlorophyll. 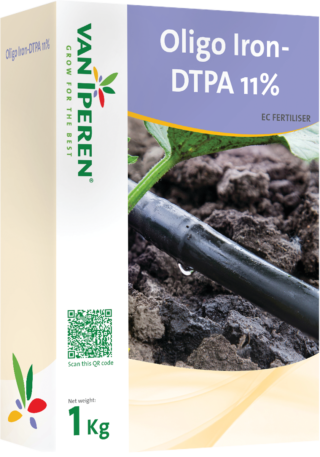 Van Iperen Oligo Iron-DTPA 11% is a highly pure Iron fertilizer , which dissolves rapidly and completely. It allows to prepare the highest concentrated stock solution on the market. Iron DTPA is advised for hydroponics. Our product is dust free and is recommended at different phenological stages. The high level of Iron in our formula improves the production of chlorophyll. 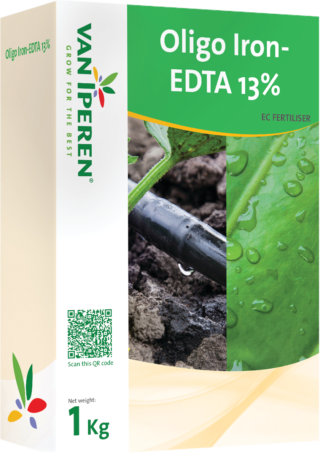 Van Iperen Oligo Iron-EDTA 13% is a highly pure Iron fertilizer, which dissolves rapidly and completely. Our product is dust free	and is recommended at different phenological stages. The high level of Iron in our formula improves the production of chlorophyll. 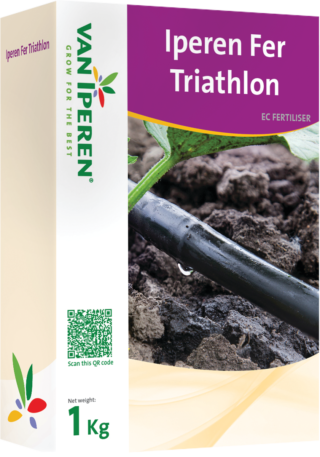 Iperen Fer Triathlon - containing 8.2% of Iron - is a highly pure, 50 % HBED, 40% EDDHA and 10% DTPA chelated Iron fertilizer, which dissolves rapidly and completely. Iperen Fer Triathlon is adviced in alkaline conditions. Our product is dust free and is recommended at different phenological stages. The high level of Iron in our formula improves the production of chlorophyll. The presence of HBED as chelating agent assures a long-lasting Iron effect.